I am not sure who created this graphic, but it caught my eye online and I decided to look into those statistics for myself- because it seemed so wonderful that something as fun dance could have such amazing health benefits! The study these statistics come from is discussed in-depth here on Stanford University's Social Dance Page. Reading down, it says that, "activities which require split-second rapid-fire decision making, as opposed to rote memory," are the ones that help reduce risk of dementia. 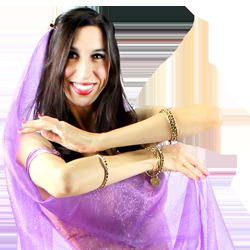 I found this very exciting as it would seem to apply directly to Egyptian style belly dance, with it's focus on responding to the movement in the moment. According to this article, memorizing a choreography and doing it over and over will not produce the same mind benefits. I hope gives a little added encouragement to anyone out there who might like to give belly dancing a try! As always, you can contact me with any questions.